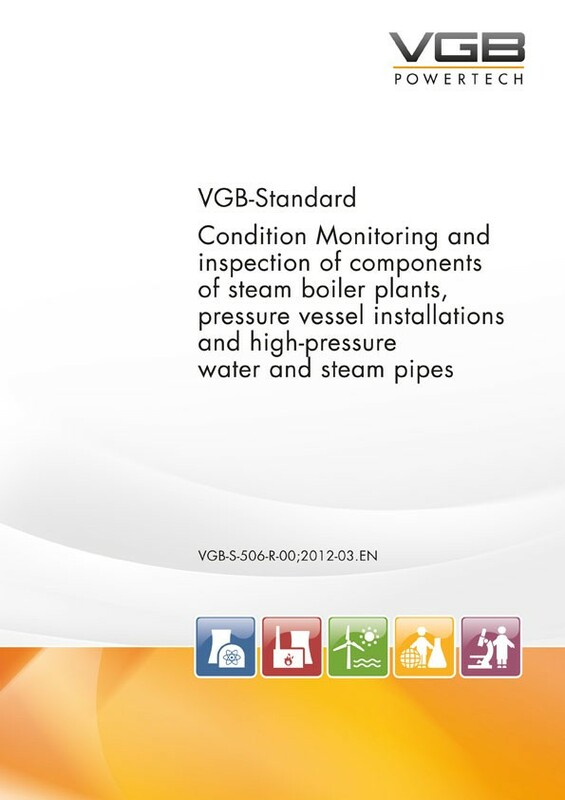 This VGB-Standard describes possibilities and methods for the condition monitoring and inspection of steam boiler plant components, pressure vessel installations (for definition of terms please refer to the Technical Regulations for Industrial Safety and Health TRBS 2141-1) and high-pressure water and steam pipes with a design pressure > 40 bar, with due respect of possible hazards caused by steam and pressure. Where these have already been described in other VGB-Guidelines/VGB-Standards they are only referred to here. On the basis of the tools described hereinafter, each plant owner should be able to carry out the condition monitoring incumbent on him according to the existing documentation, the operational requirements and the component condition which is known to him. If safety is guaranteed by the modules as described in this VGB-Standard, or in any other appropriate way, it will also be possible to apply for longer inspection periods than defined in the Ordinance on Industrial Safety and Health (BetrSichV) § 15 section 5 for new plants (where applicable, as early as at the time of permission by the pertinent authority) and already existing installations.